A pioneering figure in house music and one of the most respected producers and DJs on the planet, Kenny Dope is a giant of the scene. On Saturday 8th February, Dope hits London’s Ministry of Sound for Defected In The House, backed up by talent that includes Flashmob, Simon Dunmore, Sam Divine, Mark Fanciulli and GotSome. 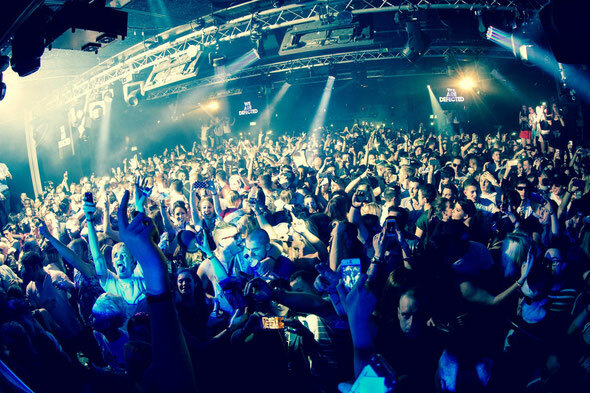 Defected’s last party at Ministry of Sound took place on New Year’s Eve and capped a good year for the label at the club. Each party demonstrated both the house music heritage of the label and the undeniable passion of their ever-growing fanbase, with all the parties throughout the year apparently selling out well in advance. With 2014 marking Defected’s 15-year anniversary, this is a great way to start it off. As one half of the legendary duo Masters at Work, Kenny Dope has been responsible for some of the most timeless house anthems ever crafted. Ask any self-respecting house DJs to name some of their all-time favourites, and chances are records like ‘Love & Happiness’ and ‘To Be In Love’ will be up there, while Dope’s own ‘The Bomb’ under his The Bucketheads moniker is rightly considered one of the most unique and influential tracks of its time. Dope is backed up in the Box on the night by Italian house duo Flashmob and Defected label founder Simon Dunmore. Sam Divine earns her headline slot on in the 103 and with Mark Fanciulli and GotSome fresh from releasing ‘The Light’ and ‘Bassline’ respectively also spinning their wares, Ministry looks set for another huge night. Click here for event info. Check the video from New Year’s Eve below.